It’s been drizzling all day, never convincingly, but always just enough to give you hope that maybe it will all-out storm, finally making a dent in refilling the Cantareira water system that is currently at 3% of its capacity. All day today you could feel the air buzzing, everyone waiting for the election results to start rolling in. For the past month, people have been tuning in to presidential debates, usually with some mixture of interest and disgust. On the street, campaigners have been handing out stickers and waving giant flags, eager to persuade even a non-voting Gringa. I have learned there is no use trying to avoid it, especially with your advanced English students. 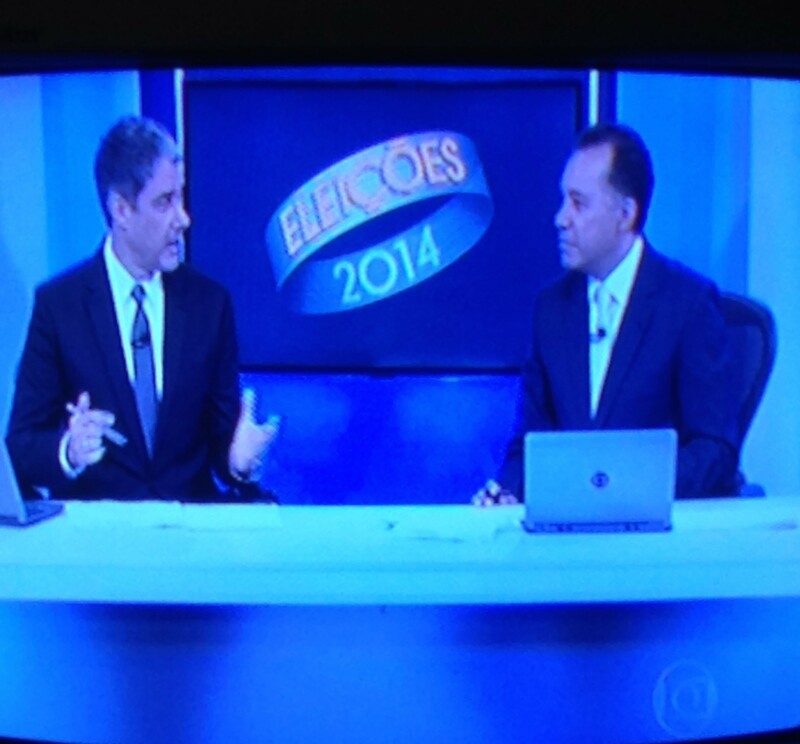 Every conversation inevitably reverts back to Brazilian politics. Months of anticipation finally culminated today around 8pm, when Globo TV posted an update with 95% of the votes counted. Immediately after, we could hear people shouting in the street and car horns blaring. 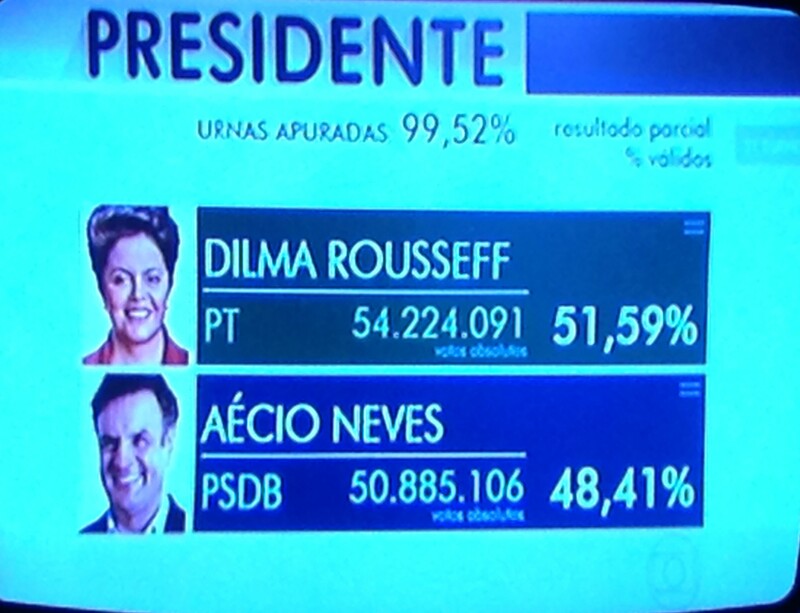 In one of the closest elections in Brazil’s history, the sitting president, Dilma Rousseff had won. Though disappointing to many, this was a surprise to none. 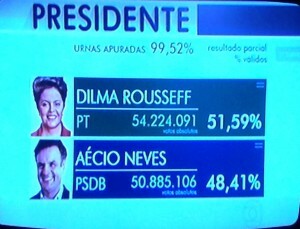 Dilma had been projected to win for weeks. Among the poor, especially in the country’s Northeast region, Dilma was the favored candidate, due in large part to her party’s welfare programs like the “Bolsa Familia.” Here in São Paulo, however, where people tend to be wealthier, Aécio, of the more centrist PSDB was far and away the favorite. Brazil’s economy has all but screeched to a halt, and inflation has increased as of late; as any good American also knows, who better to blame than the current president? Aécio, a former governor of Minas Gerais state, is staunchly pro-business and against the more interventionist policies of Dilma’s Worker’s Party. He was therefore the logical choice to steer the country’s economy back on course. And then there was the assertion that Dilma, as a former member of the Board of Directors, was involved in a major scandal involving the state-owned oil giant, Petrobras. 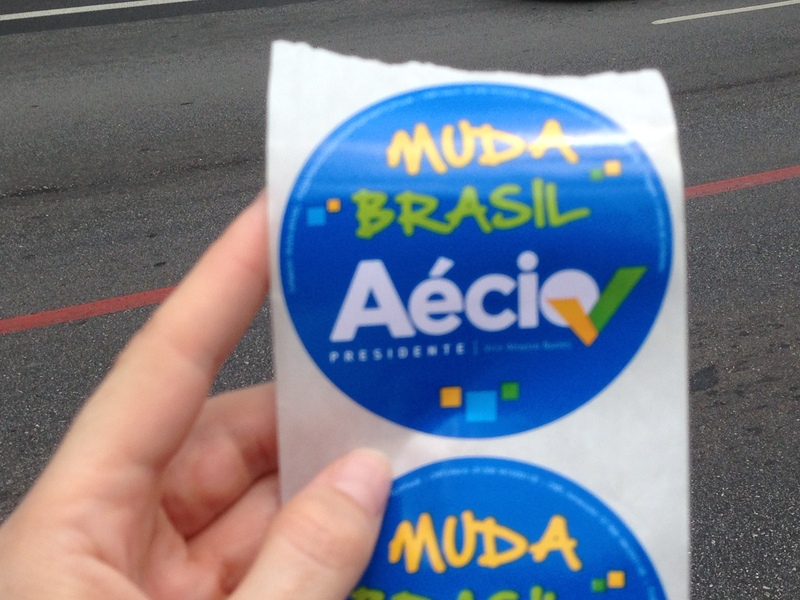 Although many people weren’t extremely excited about Aécio, the election seemed like a good opportunity to start afresh after the Worker’s Party’s 12 years in power and let someone else make the mistakes for a while. 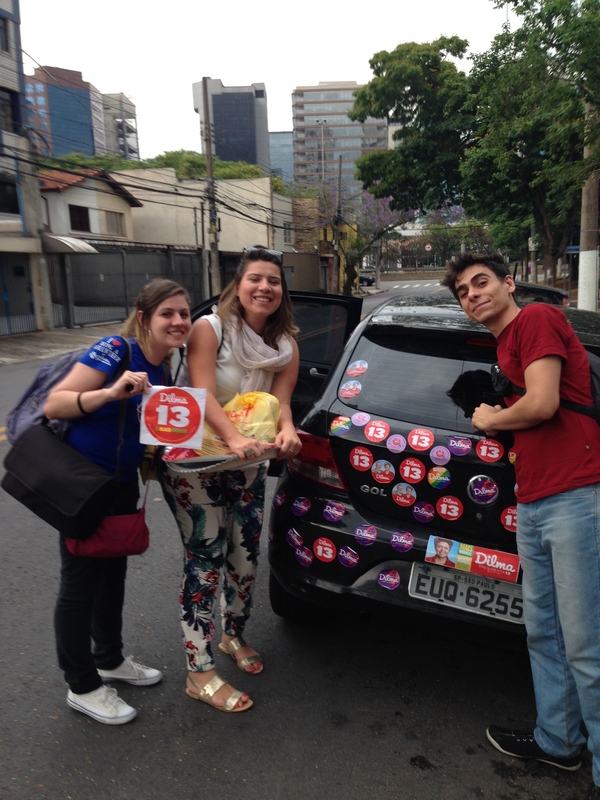 Given that I live in Sao Paulo, and I tend to interact with the middle-class and well educated, it is not surprising that almost everyone I know is an Aécio supporter. As someone who considers herself pretty liberal/far to the left, this has made me stop to think. Of course it’s impossible to make a direct comparison between countries, but, especially from an economic standpoint, I think Aécio aligns better with the Republican viewpoint (my extensive research—i.e. Wikipedia—also revealed that under Aécio’s governance, his state had the lowest teacher salaries in the whole country). 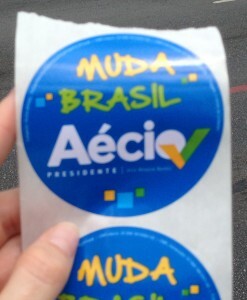 So, self-centered American that I am, for me this begs the question, would I be an Aécio supporter if I were Brazilian? In the US, my liberal perspective relies heavily on social issues. However, I also strongly believe that in the US the “American Dream” is far from a reality for most people, and as such, the government needs to be involved in creating equality of opportunity for all. This can include everything from stricter regulation of businesses to the provision of public programs in order to provide support to the poor. Although this may be obvious to most, I never really stopped to consider how much faith in my country being a liberal truly requires. Of course I am well aware of how many terrible politicians we have. I am no less jaded than the rest of the country about the current political gridlock in Washington. And congress’s apparent quest to stall scientific progress makes me absolutely livid. Yet, slow to the party as always, I am just now realizing that my position requires that I truly believe that democracy is alive and well in my country. I implicitly trust that the system has been set up such that checks and balances will work and that ultimately, justice will prevail. As an aside, it’s then ironic to me that American conservatives, who place more weight on personal responsibility and individual liberties, tend to be significantly more patriotic. But if I had grown up in Brazil, where democracy was only re-instated in 1985 and the currency has changed 5 times in the past 30 years alone, would I still feel that way? My solid self-identity as a crazy liberal has been shaken—I had never considered my political opinions from such a relativist perspective before. Previously I thought they were a pure reflection of my core values. I had never considered that in another environment, perhaps I would be a conservative. But here in Brazil, I can understand the desire to minimize government control. How can you have faith in your government when the total amount of money pocketed by your politicians could have gone towards providing education for an additional 15 million children? And further, as many Brazilians have pointed out to me, taxes are exorbitantly high and yet they don’t seem to go toward improving the country’s infrastructure. I learned quickly after I got here that praying for rain is not enough. If the rain doesn’t fall precisely in the Cantareira system, there is no infrastructure to allow the water to be collected for use.